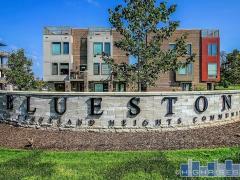 Blog with news about the Cleveland OH high-rise condominium and loft market. There are currently 78 blog entries related to this category. Tuesday, February 22nd, 2011 at 11:11am. I have long been a fan of Pinnacle condos in Downtown Cleveland. If you haven’t had the pleasure of walking the lobby or gazing out of one of the Pent House units into the great wide open, it is something I strongly recommend. This building represents North East Ohio’s premier condominium, hand down. The views, the quality in construction, the location and amenities make it hard for other condos to compete. The new construction phase is more or less gone, all but a few pent houses over $1million have been sold and often resold and the association is in the hands of the owners . Tuesday, February 22nd, 2011 at 10:03am. Ohio City is arguably Cleveland’s trendiest and most established areas for entertainment, dining and shopping. It seems as though every time you turn around there is another restaurant, boutique or brewery opening up. The latest addition is Market Garden, a 3,000 square foot cobblestoned American beer garden across from sister brewery Bier Market. This area is already a huge destination for shopping mainly due to the West Side Market’s appeal as well as Dave’s Super Market for local residents weekly groceries. Market Square is home to Great Lakes Brewery, Flying Fig and ABC Tavern to name a few. Friday, October 29th, 2010 at 12:26pm. This is news! most new construction condos in Cleveland have been a bit in denial over the market and kept prices relatively the same throughout the overall decline. The developers at Stonebridge Plaza on the West Bank of the Flats have recently made MAJOR price reductions up to $100,000 off, in an effort to be viewed as more of a bargain and to get some would be buyers off the fence. I think it is a great move and puts them in a very competitive place. You should see other developers follow suit if they know whats good for them.